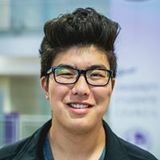 Importance of the Patient Voice There is substantial evidence supporting the value in integrating the patient narrative into the healthcare delivery system when providing chronic care treatment. IEXPAC An 11-item questionnaire that aims to measure selfreported patient experience of integrated chronic care. Patients rank each statement on a 5-point Likert scale. Focuses on assessing interactions between patient and healthcare teams. Focus Groups A diverse group of patients assembled to participate in a guided discussion typically facilitated by a moderator. Responses are recorded and transcribed for future analysis. Mixed Methods A method of conducting research involving collecting, analyzing, and integrating quantitative and qualitative methods research. 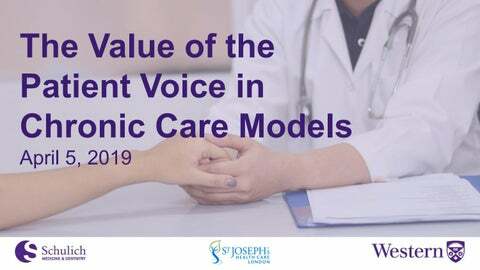 Our Recommendation Given the synergistic effect of using mixed methods, as well as the capabilities of St. Josephâ&#x20AC;&#x2122;s Hospital, our team recommends a combination solution to gather and distill the patient voice in the integrated chronic care model. Quantitative data for the purposes of conducting statistical analysis and gathering baseline information. Guided discussions to allow patients to open up and share their own perspectives, in the hopes of identifying new themes. Mixed methods approach to engaging with patients and eliciting feedback in a way that can monitor current performance and inform future changes. FROM16 A 16-item instrument assessing burden experience by patient family members. Acknowledgements Our team would like to thank the following people and organizations for their assistance in the completion of this project. We could not have done it without you. Questionnaire composed of eight questions scored by patients on a Likert scale from 0 (very dissatisfied) to 6 (very satisfied). Two factors are addressed, the first assessing treatment satisfaction with 6 questions while the second factor consists of two questions assessing the burden from hyper and hypoglycemia. Generic tool containing five dimensions of quality of life: mobility, self-care, usual activities, pain and discomfort, and anxiety and depression. Each dimension contains three levels - no limitations, some limitations, and severe limitations. A tool designed to measure the general psychological wellbeing of patients. The questionnaire consists divides 12-items into three subscales: negative well-being, energy, and positive well-being. Each item is scored from 0 to 3, with possible totals ranging from 0 (worst) to 36 (best). A 20-item scale with each item representing a diabetesrelated issue. Respondents address each item on a five-point Likert Scale (0 being ‘not a problem’ to 4 being a ‘serious problem’). Scores range from 0-80 and are converted to a 0100 standardized score, with 100 reflecting greater distress. A series of questions or statements administered by an interviewer through conversation over the telephone. Patients are typically asked to rank statements on a numerical scale indicating their agreement or disagreement. An alternative to the classical approach to follow up appointments and treatments for patients with chronic illness and favours patient-initiated reviews. Consists of three main components: small educational sessions, telephone line for patient messages, as well as access to an appointment with a specialist or a nurse within ten days. In-person interviews are conducted by researchers asking open-ended questions about patientsâ&#x20AC;&#x2122; experiences and audiorecording responses. A questionnaire developed through the Programme on Mental Health World Health Organization Geneva used for measuring quality of life. The assessment measures four domains: physical, psychological, social relationships and environment with 26 questions.